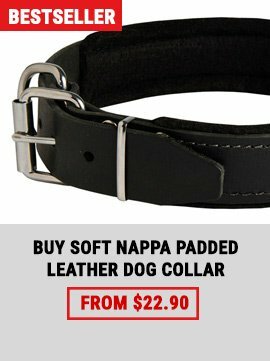 Society demands you to muzzle your dog? Do it without harming and torturing him! 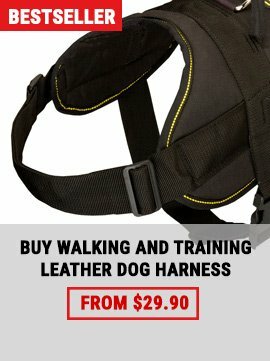 We offer you this great Training and Walking Free to Breathe Metal Cage Muzzle so your dog could feel maximally comfortable. 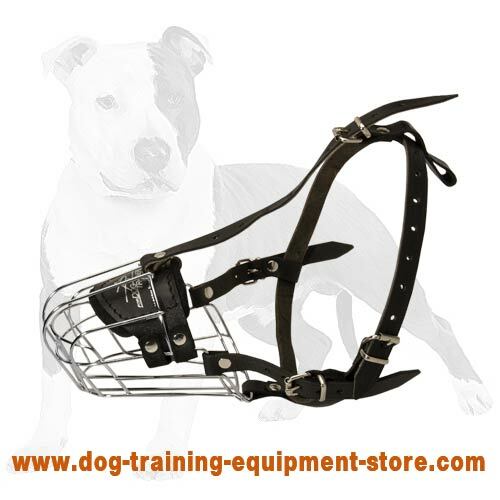 This non-restrictive muzzle allows your dog to get pleasure and be cheerful while daily walks or every day training sessions as it has lots of benefits. Learning them, you will understand that this muzzle is the best choice ever! You will forget for good of taking off the muzzle from your dog each time when you need to give him water as this muzzle allows drinking through the wires. Your dog can stay muzzled longer as he can breathe and pant freely in it. Hard training sessions or daily walks can be much more pleasant! It will serve you for probably an eternity! Strong steel cage, 100% full grain genuine leather, rivets, stitching and best skills of our craftsmen make this muzzle unbreakable! Dogs with sensitive skin simply adore this muzzle! Due to the soft thick felt padding their nose is protected from rubbing and irritation. Proper wearing is not a problem at all as you can fix this muzzle at 4 sides, thus, provide 100% accurate fit for your dog to feel snug. The price impresses each our customer. You do not believe it to be so low? We ourselves produce our goods and that is why they are always of high quality but at a low price. So simply enjoy it! 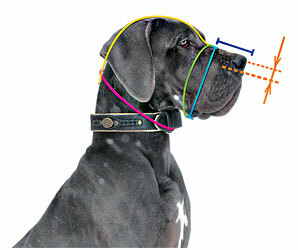 Please, provide us with accurate measurements of your dog’s parameters because we will send you the muzzle of the size, chosen on the basis of your measurements. So, please, be accurate when you take these measurements or fill in the table above. 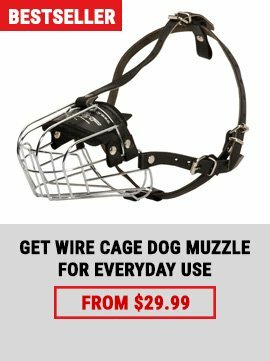 Do not keep your dog muzzled all the time. The recommended time for muzzling a dog is 2-3 hours. 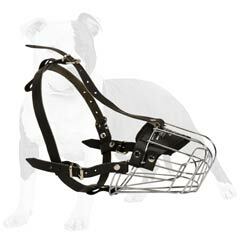 Please, do not use the muzzle if it is of a wrong size - it can be uncomfortable for your dog or even harmful.